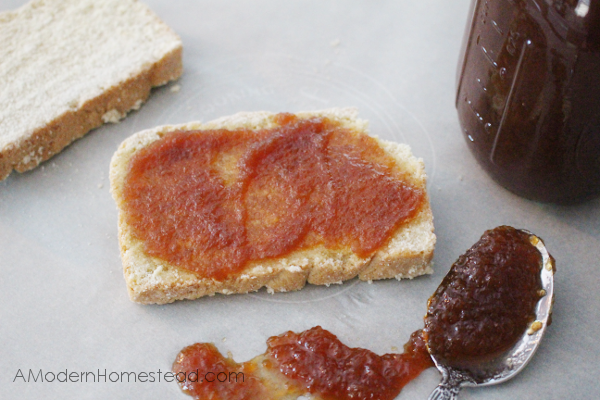 This crockpot apple butter recipe is a wonderful treat during the fall! And with these instructions for how to can apple butter you’ll be able to enjoy it all year round! I’ve been buying a lot of apples recently for things like apple pie, apple sauce, and more… and I always get the organic ones. I know that buying organic can get a little pricey, but for us, it’s more costly to our health to buy the “regular” apples. Since it is apple season my local grocery store has quite a few different varieties of organic apples available. 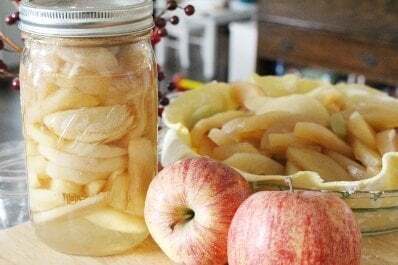 This is perfect because combining varieties allows for a much deeper, richer flavor of finished apple butter. 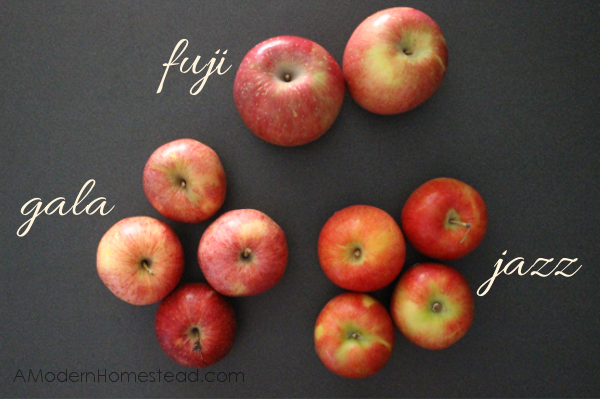 For this recipe I used a mix of Fuji, Gala, and Jazz apples – About a pound and a half of each, 4-5lbs total. Wash, peel, and core the apples. 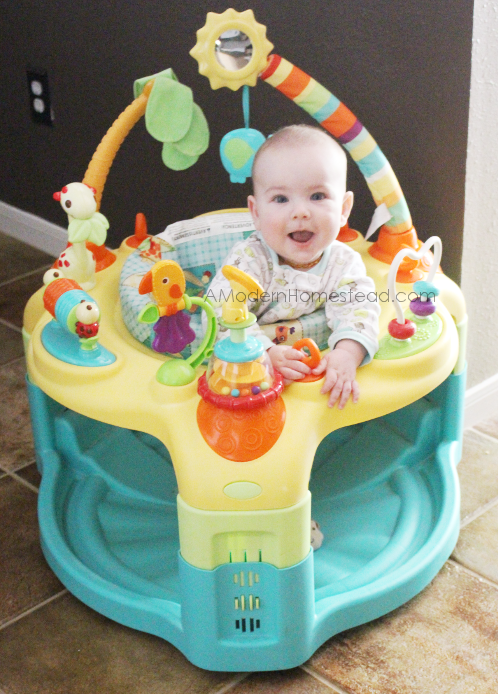 And if you’re like me, stop and play with the baby for a bit. I mean, seriously, look at my sweet little helper! Now that we’re back from playing with the baby, pay close attention here, because this is THE KEY to making perfect apple butter! 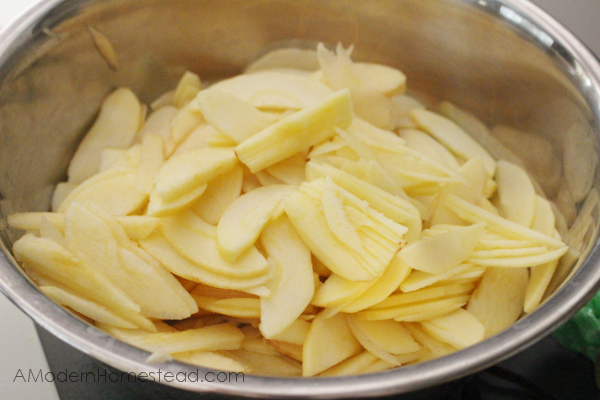 When you slice the apples to place them in the crockpot, slice them as thin as you possibly can. 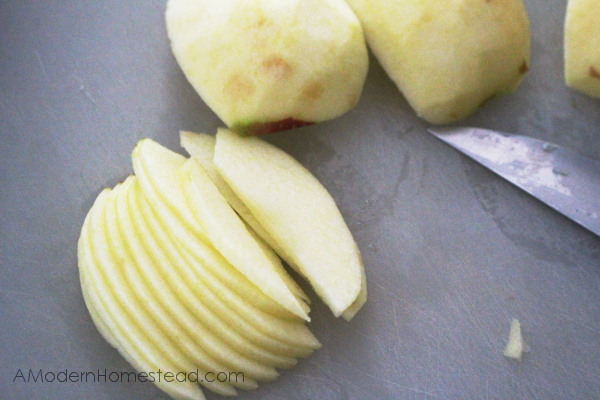 I do this by hand because I just love the “whoosh, whoosh, whoosh” of the blade and I quickly slice the apples. 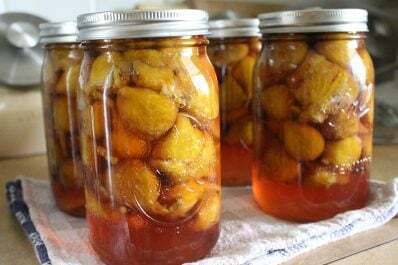 However, you could do it with a mandolin, or a food processor with a slicing blade. Either way, get those apples as thin as you can and get ready for some magic! Because this is what happens when you take the time to slice them thin! That’s my favorite part of this process!! Watching it go from whole apple slices to apple butter in just a few turns of the whisk! Specifics of the “magic” – After you let your apple butter process in the crockpot on low for 8-12 hours, just lift the lid and whisk briefly. 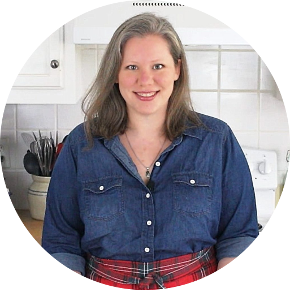 Note: If you don’t cut the apple thinly for whatever reason, you can still just cook it in the crockpot for 8-12 hours, then run it through the blender or food processor to achieve the smooth texture. Now that your apple butter is ready you can either pop it into a container and keep it in the fridge, or you can can it for later! 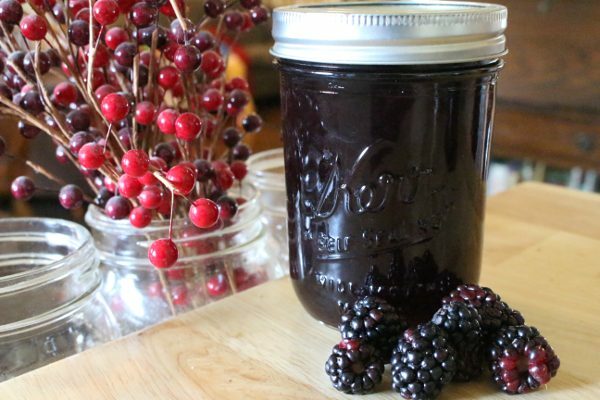 If you’d like to can it, prep 5 pint jars as shown in my Quick Start Guide to Water Bath Canning and follow the same directions to finish. 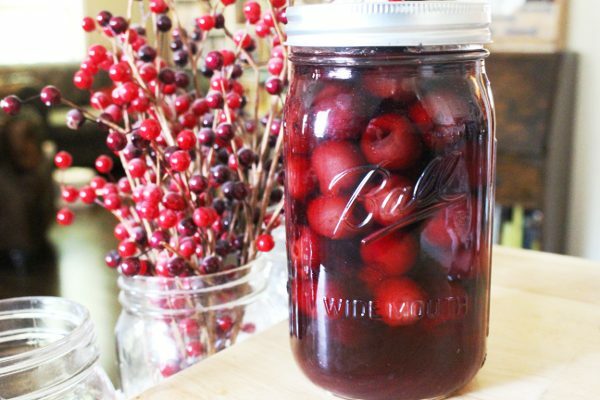 You’ll process these for 10 minutes in a water bath canner (just any large pot, no special equipment needed). Be sure to label them once they have cooled completely – I usually wait until the next day. Then enjoy at your leisure! 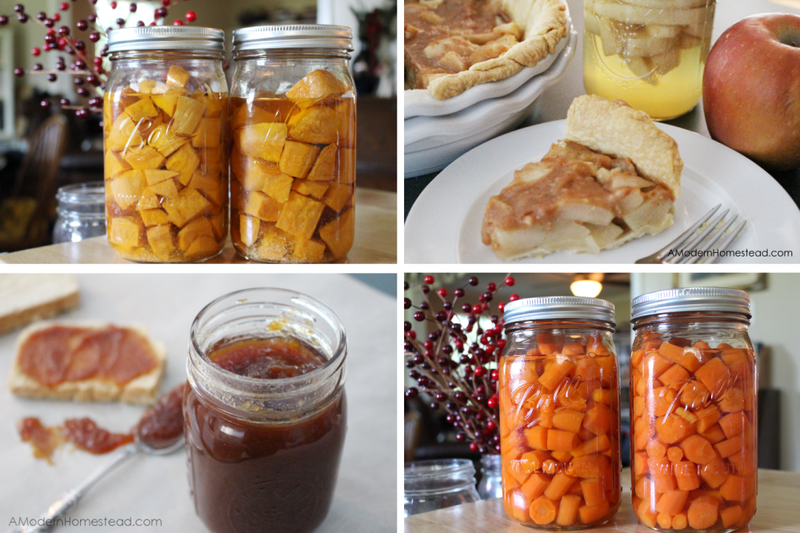 I’ve eaten this exact recipe up to 5 years after initial canning and it was just as delicious as day one! I slathered some of this amazing apple butter on a thick slick of homemade sandwich bread this morning and it really hit the spot! It’s also delicious on the drop biscuits I shared with you recently! Either way, you can’t go wrong with this stuff! 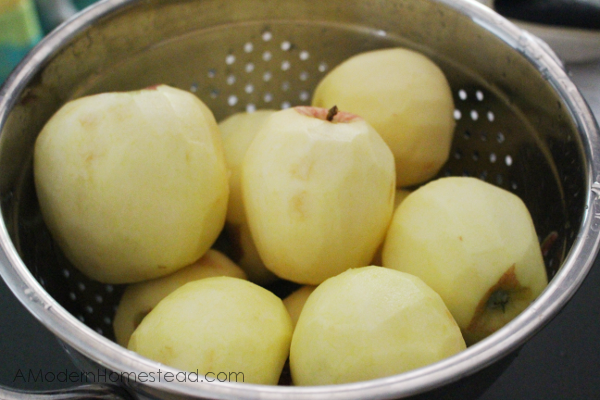 This crockpot apple butter recipe is a wonderful treat during the fall! 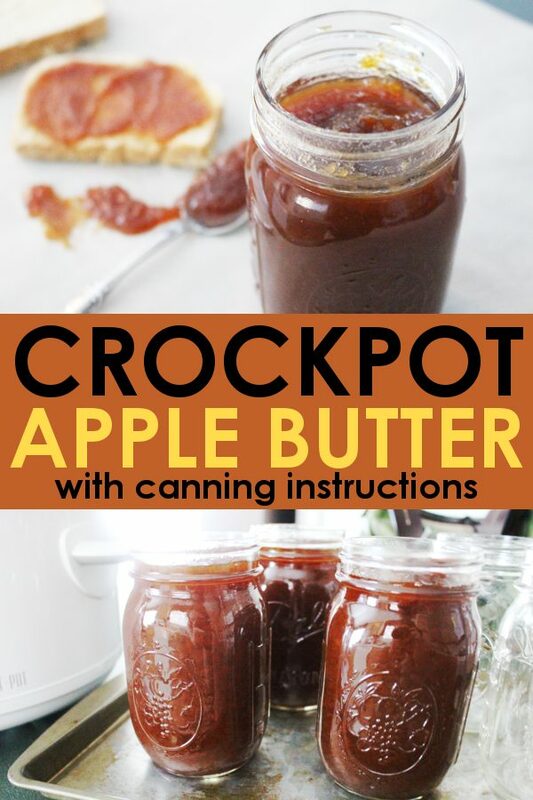 And with these instructions for how to can apple butter you'll be able to enjoy it all year round! Slice them as thin as possible. 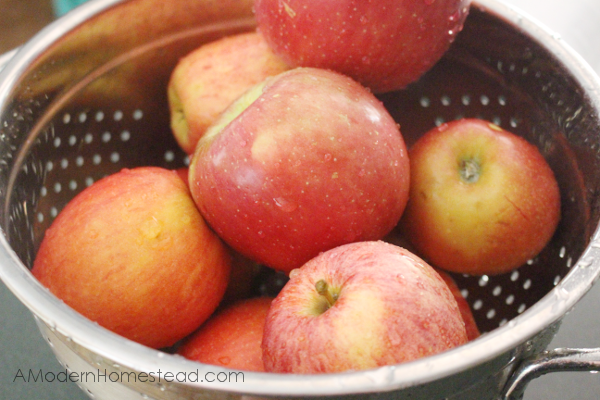 Place apples and sugar into crockpot. 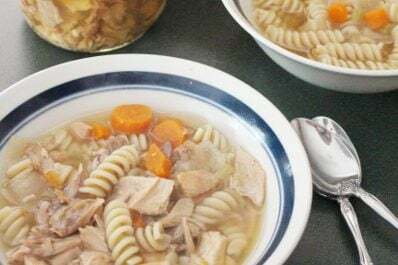 Place crockpot on low and cook for 8-12 hours (I do overnight). Using a whisk, thoroughly mix apples until they become smooth. Or use a blender if apples were not sliced thinly enough. Follow jar prepping directions given in the Water Bath Canning post here. Process in large pot for 10 minutes. Let cool for a few hours, lable, and put away! 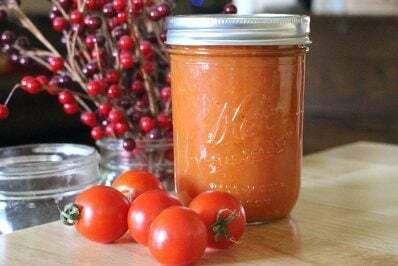 I cooked up a batch of this apple butter deliciousness for canning yesterday, and OMG I may never have to try another recipe again!! 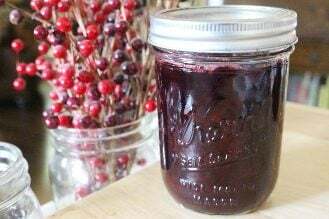 I do have a question for you though, I unfortunately didnt have any canning jars yesterday, so once it all cooled i popped the whole crockpot dish in the fridge until today when I could get more canning jars and lids. My question is, does the apple butter need to be a certain temp for canning? In other words, can I can it as it is chilled now? Or should I turn crockpot back on to heat up the apple butter before I begin the canning process? 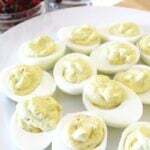 Thank you so much for this awesome recipe and for your time!! Cheers! I’ve always wondered how apple butter was made and now I’m ready to give it a try. However, we’re trying to cut down on sugar and I’m wondering if this recipe works with less sugar to apple ratio? Hi Karen! Great question. 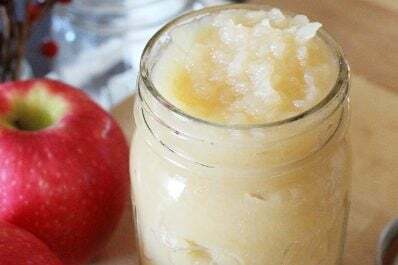 So, applesauce is basically apple butter but without sugar, which I have a recipe for here and it is safe to make and can that way. 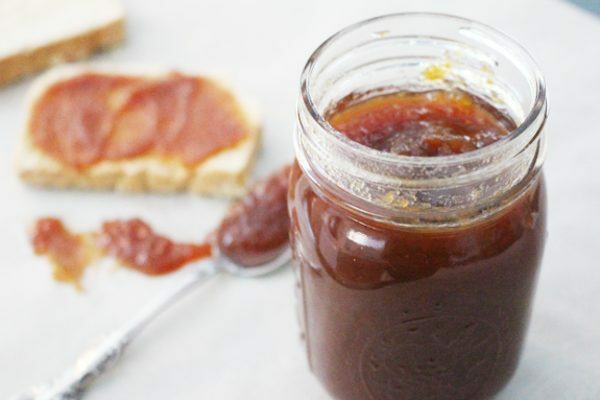 I’m not sure exactly how the apple butter taste will compare without as much sugar, but you could definitely try a small batch and see how you like it! 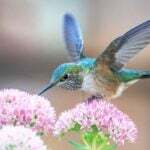 For us, though it is a lot of sugar in the recipe, we don’t use that much as a time. Maybe a tablespoon, so it’s not too bad. Let me know if you try it!